The SCTAA met on April 28, 2014 with 34 in attendance including Linda List, writer of “Landrum Wanderings” newspaper column. 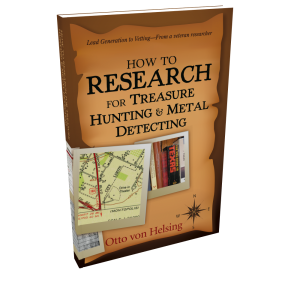 Anyone who has a good metal detecting story is encouraged to contact her and share your tale. Kenny shared about his recent trip to Edisto Beach, SC. He and his wife detected for a number of hours and found tokens, a ring, an unfired bullet from the 1890’s, and numerous foreign coins from the 40’s and 50’s from about twelve different countries. Kenny also is working on a date when we can do a group hunt at the Tryon Steeplechase grounds. We’ll get an e-mail out when final permission is granted. March treasury ended with a balance of $764.71. We collected: Money Donations for Points/Raffle - $89; donation can - $9; Sale of Decals - $9. We paid for coin prizes to finish out the year - $310.40. The amended closing balance is $561.31.